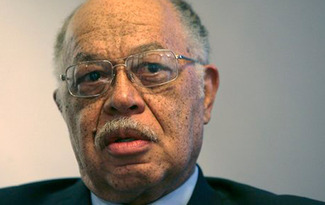 This will be my final post on the Grand Jury report on mass murderer Dr. Kermit Gosnell. This post will finish up the report’s overview, giving us their indictments and recommendations on what must be done to prevent this from happening again. You can find the previous sections here, here, here, and here. You can find the Grand Jury’s report in it’s entirety here. Obviously, Kermit Gosnell is the man with the clearest criminal culpability for what happened here. But many of the people who worked for the Women’s Medical Society should also be charged with criminal offenses; and many of the people who worked for the public, while not criminally liable, should be called out. We group the criminal charges into three categories: charges arising from the baby murders and illegal abortions; charges in connection with the death of Karnamaya Mongar; and charges stemming generally from the ongoing operation of a criminal enterprise. We were able to document seven specific incidents in which Gosnell or one of his employees severed the spine of a viable baby born alive. We charge Gosnell, Lynda Williams, Adrienne Moton, and Steven Massof with murder in the first degree. Along with Sherry West, they are also charged with conspiracy to commit murder in relation to the hundreds of unidentifiable instances in which they planned to, and no doubt did, carry out similar killings. We also charge Gosnell with various violations of the Abortion Control Act, including infanticide and performing illegal late-term abortions. Charged as co-conspirators with him in this regard are Williams, West, and Pearl Gosnell, his wife. Two employees were Gosnell’s accomplices in the administration of the drugs that killed Karnamaya Mongar. We charge Gosnell, Lynda Williams, and Sherry West with third-degree murder, drug delivery resulting in death, violations of the controlled substance act and conspiracy. Gosnell, West, and Elizabeth Hampton are charged with hindering apprehension (and Hampton also with perjury) for lying to the police, to the hospital, and to us about how this woman died. Illegality was so integral to the operation of the Women’s Medical Society that the business itself was a corrupt organization. We charge Gosnell, Lynda Williams, Sherry West, Adrienne Moton, Maddline Joe, Tina Baldwin, Pearl Gosnell, Steven Massof, and Eileen O’Neill with running that organization or conspiring to do so. We charge Massof and O’Neill, in conspiracy with Gosnell, with theft by deception for pretending to be doctors, and billing for their services as if they were licensed physicians. Gosnell should also be charged with obstruction and tampering for altering his patient files to hide illegality, and for destroying or removing other files entirely. As a final note, we charge Gosnell and Tina Baldwin, his employee, with corrupting the morals of a minor. Gosnell hired Tina’s 15-year-old daughter as a staff member. She was required to work 50-hour weeks, starting after school until past midnight, during which she was exposed to the full horrors of Gosnell’s practice. Bad enough that he expected grown-ups to do it. That leaves the government employees whose job was to make sure that things like this don’t happen. Worth special mention is Janice Staloski of the Pennsylvania Department of Health, who personally participated in the 1992 site visit, but decided to let Gosnell slide on the violations that were already evident then. She eventually rose to become director of the division that was supposed to regulate abortion providers, but never looked at Gosnell despite specific complaints from lawyers, a doctor, and a medical examiner. After she was nonetheless promoted, her successor as division director, Cynthia Boyne, failed to order an investigation of the clinic even when Karnamaya Mongar died there. Senior legal counsel Kenneth Brody insisted that the department had no legal obligation to monitor abortion clinics, even though it exercised such a duty until the Ridge administration, and exercised it again as soon as Gosnell became big news. The agency’s head lawyer, chief counsel Christine Dutton, defended the department’s indifference: “People die,” she said. Lawyers at the Pennsylvania Department of State behaved in the same fashion. Attorneys Mark Greenwald, Charles Hartwell, David Grubb, Andrew Kramer, William Newport, Juan Ruiz, and Kerry Maloney were confronted with a growing pile of disquieting facts about Gosnell, including a detailed, inside account from a former employee, and a 22-year-old dead woman. Every time, though, they managed to dismiss the evidence as immaterial. Every time, that is, until the facts hit the fan. We want better from our public servants. We trust that their actions will be reviewed, and that they will be held accountable. If oversight agencies expect to prevent future Dr. Gosnells, they must find the fortitude to enact and enforce the necessary regulations. Rules must be more than words on paper. The Pennsylvania Department of State must repair its review process. Complaints should be taken by internet and telephone, and patients should be assured of confidentiality and a response when the investigation is completed. No complaint should be dismissed until the subject’s full history of prior complaints has been considered, and malpractice databases have been examined. Reports about individual doctors should be cross-checked against reports about the medical offices where they have worked, and vice versa. The Philadelphia Department of Public Health should do at least as much to control infectious medical waste as it does to inspect swimming pools and beauty parlors. We recognize that these relatively technical recommendations will be unsatisfying to those fighting the abortion battle. “Pro-choice” advocates will argue that the real solution is government-funded abortion. “Pro-lifers” will see the case as an indictment of all legalized abortion. I started this series of posts because I wanted people to get the word out, and to shame the media into covering this story. Failing at that, I wanted to provide people with the actual facts of the case. During the past few days many media outlets have started talking about the case, and the lack of initial coverage it received. I can’t take a shred of credit for this: all the credit goes to columnist Kirsten Power’s editorial on the subject. This is the article that first informed me about Dr. Gosnell, and this same article has been leading people everywhere to talk about the trial. She deserves praise from us all for bringing this gross injustice to light. On Friday things will get back to normal around here. So how did Dr. Gosnell get away with all this? How could he have run his house of horrors for years without getting caught? The answer can be found in the next section of the Grand Jury’s report. We’ve already covered their report on what Gosnells clinic was like, his murder of children, and his criminal malpractice against his patients. You can find the report in it’s entirety here. Yet not one of these alarm bells – not even Mrs. Mongar’s death – prompted the department to look at Gosnell or the Women’s Medical Society. Only after the raid occurred, and the story hit the press, did the department choose to act. Suddenly there were no administrative, legal, or policy barriers; within weeks an order was issued to close the clinic. And as this grand jury investigation widened, department officials “lawyered up,” hiring a high-priced law firm to represent them at taxpayer expense. Had they spent as much effort on inspection as they did on attorneys, none of this would have happened to begin with. But even this total abdication by the Department of Health might not have been fatal. Another agency with authority in the health field, the Pennsylvania Department of State, could have stopped Gosnell single-handedly. While the Department of Health regulates facilities, the Department of State, through its Board of Medicine, licenses and oversees individual physicians. Like their colleagues at Health, however, Department of State officials were repeatedly confronted with evidence about Gosnell, and repeatedly chose to do nothing. Indeed, in many ways State had more damning information than anyone else. 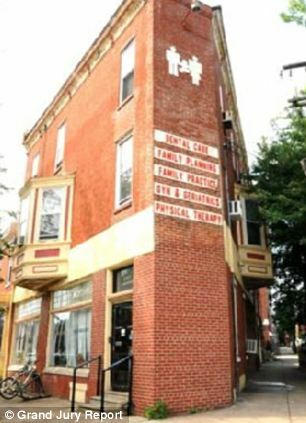 Almost a decade ago, a former employee of Gosnell presented the Board of Medicine with a complaint that laid out the whole scope of his operation: the unclean, unsterile conditions; the unlicensed workers; the unsupervised sedation; the underage abortion patients; even the over-prescribing of pain pills with high resale value on the street. The department assigned an investigator, whose investigation consisted primarily of an offsite interview with Gosnell. The investigator never inspected the facility, questioned other employees, or reviewed any records. Department attorneys chose to accept this incomplete investigation, and dismissed the complaint as unconfirmed. Shortly thereafter the department received an even more disturbing report – about a woman, years before Karnamaya Mongar, who died of sepsis after Gosnell perforated her uterus. The woman was 22 years old. A civil suit against Gosnell was settled for almost a million dollars, and the insurance company forwarded the information to the department. That report should have been all the confirmation needed for the complaint from the former employee that was already in the department’s possession. Instead, the department attorneys dismissed this complaint too. They concluded that death was just an “inherent” risk, not something that should jeopardize a doctor’s medical license. The same thing happened at least twice more: the department received complaints about lawsuits against Gosnell, but dismissed them as meaningless. A department attorney said there was no “pattern of conduct.” He never bothered to check a national litigation database, which would have shown that Gosnell had paid out damages to at least five different women whose internal organs he had punctured during abortions. Apparently, the missing piece in the “pattern” was press coverage. Once that began, after the raid, the department attorney quickly managed to secure a license suspension against Gosnell. Similar inaction occurred at the municipal level. The Philadelphia Department of Public Health does not regulate doctors or medical facilities; but it is supposed to protect the public’s health. Philadelphia health department employees regularly visited the Women’s Medical Society to retrieve blood samples for testing purposes, but never noticed, or more likely never bothered to report, that anything was amiss. Another employee inspected the clinic in response to a complaint that dead fetuses were being stored in paper bags in the employees’ lunch refrigerator. The inspection confirmed numerous violations of protocols for storage and disposal of infectious waste. But no follow-up was ever done, and the violations continued to the end. A health department representative also came to the clinic as part of a citywide vaccination program. She promptly discovered that Gosnell was scamming the program; more importantly, she was the only employee, city or state, who actually tried to do something about the appalling things she saw there. By asking questions and poking around, she was able to file detailed reports identifying many of the most egregious elements of Gosnell’s practice. It should have been enough to stop him. But instead her reports went into a black hole, weeks before Karnamaya Mongar walked into the Woman’s Medical Society. Ironically, the doctor at CHOP who personally complained to the Pennsylvania Department of Health about the spread of venereal disease from Gosnell’s clinic, the doctor who used to refer teenage girls to Gosnell for abortions, became the head of the city’s health department two years ago. But nothing changed in the time leading up to Mrs. Mongar’s death. And it wasn’t just government agencies that did nothing. The Hospital of the University of Pennsylvania and its subsidiary, Penn Presbyterian Medical Center, are in the same neighborhood as Gosnell’s office. State law requires hospitals to report complications from abortions. A decade ago, a Gosnell patient died at HUP after a botched abortion, and the hospital apparently filed the necessary report. But the victims kept coming in. At least three other Gosnell patients were brought to Penn facilities for emergency surgery; emergency room personnel said they have treated many others as well. And at least one additional woman was hospitalized there after Gosnell had begun a flagrantly illegal abortion of a 29-week-old fetus. Yet, other than the one initial report, Penn could find not a single case in which it complied with its legal duty to alert authorities to the danger. Not even when a second woman turned up virtually dead. So too with the National Abortion Federation. NAF is an association of abortion providers that upholds the strictest health and legal standards for its members. Gosnell, bizarrely, applied for admission shortly after Karnamaya Mongar’s death. Despite his various efforts to fool her, the evaluator from NAF readily noted that records were not properly kept, that risks were not explained, that patients were not monitored, that equipment was not available, that anesthesia was misused. It was the worst abortion clinic she had ever inspected. Of course, she rejected Gosnell’s application. She just never told anyone in authority about all the horrible, dangerous things she had seen. Dr. Gosnell is a mass murderer, and his crimes will undoubtedly be punished. But who will punish those who let him get away with murder? Shame on the Pennsylvania Department of Health, shame on the Pennsylvania Department of State, shame on the officials who ordered inspections to be stopped for political reasons, and shame on the National Abortion Federation evaluator who did not speak out after inspecting his appalling facility. Dr. Gosnell should have been shut down more than a decade ago. It is horrific enough, as we saw last week (to start at the beginning click here) to hear how Dr. Glosnell murdered countless babies in cold blood. But even his patients, the women who he was supposedly trying to help, were not safe from his criminal negligence and malpractice. This next section of the Grand Jury’s Report overviews this aspect of his crimes, and how he killed one of at least two women who died because of his “care.” If you’d like to read the entire report you can find it here. Dr. Gosnell didn’t just kill babies. He was also a deadly threat to mothers. Not every abortion could be completed by inducing labor and delivery. On these occasions, Gosnell would attempt to remove the fetus himself. The consequences were often calamitous – though that didn’t stop the doctor from trying to cover them up. One woman, for example, was left lying in place for hours after Gosnell tore her cervix and colon while trying, unsuccessfully, to extract the fetus. Relatives who came to pick her up were refused entry into the building; they had to threaten to call the police. They eventually found her inside, bleeding and incoherent, and transported her to the hospital, where doctors had to remove almost half a foot of her intestines. On another occasion, Gosnell simply sent a patient home, after keeping her mother waiting for hours, without telling either of them that she still had fetal parts inside her. Gosnell insisted she was fine, even after signs of serious infection set in over the next several days. By the time her mother got her to the emergency room, she was unconscious and near death. A nineteen-year-old girl was held for several hours after Gosnell punctured her uterus. As a result of the delay, she fell into shock from blood loss, and had to undergo a hysterectomy. One patient went into convulsions during an abortion, fell off the procedure table, and hit her head on the floor. Gosnell wouldn’t call an ambulance, and wouldn’t let the woman’s companion leave the building so that he could call an ambulance. Undoubtedly there were many similar incidents, but even they do not demonstrate Gosnell at his most dangerous. Day in and day out, the greatest risks came when the doctor wasn’t even there. Gosnell set up his practice to rely entirely on the untrained actions of his unqualified employees. They administered drugs to induce labor, often causing rapid and painful dilation and contractions. But Gosnell did not like it when women screamed or moaned in his clinic, so the staff was under instruction to sedate them into stupor. Of course his assistants had no idea how to manage the powerful narcotics they were using. Gosnell prepared a list of preset dosage levels to be administered in his absence. But no allowances were made for individual patient variations, or for any monitoring of vital signs. All that mattered was the money. The more you paid, the more pain relief you received. It was all completely illegal, and completely unsafe. Only in one class of cases did Gosnell exercise any real care with these dangerous sedatives. On those rare occasions when the patient was a white woman from the suburbs, Gosnell insisted that he be consulted at every step. When an employee asked him why, he said it was “the way of the world.” Karnamaya Mongar was not one of the privileged patients. She was a 41-yearold, refugee who had recently come to the United States from a resettlement camp in Nepal. When she arrived at the clinic, Gosnell, as usual, was not there. Office workers had her sign various forms that she could not read, and then began doping her up. She received repeated unmonitored, unrecorded intravenous injections of Demerol, a sedative seldom used in recent years because of its dangers. Gosnell liked it because it was cheap. Even then, there might have been some slim hope of reviving Mrs. Mongar. The paramedics were able to generate a weak pulse. But, because of the cluttered hallways and the padlocked emergency door, it took them over twenty minutes just to find a way to get her out of the building. Doctors at the hospital managed to keep her heart beating, but they never knew what they were trying to treat, because Gosnell and his staff lied about how much anesthesia they had given, and who had given it. By that point, there was no way to restore any neurological activity. Life support was removed the next day. Even if media outlets fear that abortion connection might make this story to politically risky, you’d at least think they would be all over the death of a refugee due to criminal malpractice. Yet the media, other than a few editorials in various opinion sections (and kudos to those columnists for speaking up), is burying the story. This should have been first page news and it’s being shoved under the rug. Their cowardice could result in this kind of horrific situation happening again. Because rest assured: Dr. Gosnell should have been stopped long before Karnamaya Mongar died in that emergency room. You’d think that her death would have been all the waning the authorities needed that something was wrong: unfortunately, you’d be wrong. Tomorrow I’ll post the next section of the report, which details the inexcusable negligence of those whose job it is to prevent atrocities like these. If you can’t wait until tomorrow you can find the whole story right here, straight from the Grand Jury of the 1st Judicial District of Pennsylvania. Here is the next section of the Grand Jury’s Report on Dr. Gosnell. You can find the first section here, or the entire report here. With abortion, as with prescriptions, Gosnell’s approach was simple: keep volume high, expenses low – and break the law. That was his competitive edge. Pennsylvania, like other states, permits legal abortion within a regulatory framework. Physicians must, for example, provide counseling about the nature of the procedure. Minors must have parental or judicial consent. All women must wait 24 hours after first visiting the facility, in order to fully consider their decision. But Gosnell’s compliance with such requirements was casual at best. At the Women’s Medical Society, the only question that really mattered was whether you had the cash. Too young? No problem. Didn’t want to wait? Gosnell provided same-day service. The real key to the business model, though, was this: Gosnell catered to the women who couldn’t get abortions elsewhere – because they were too pregnant. Most doctors won’t perform late second-trimester abortions, from approximately the 20th week of pregnancy, because of the risks involved. And late-term abortions after the 24th week of pregnancy are flatly illegal. But for Dr. Gosnell, they were an opportunity. The bigger the baby, the more he charged. Over the years, there were hundreds of “snippings.” Sometimes, if Gosnell was unavailable, the “snipping” was done by one of his fake doctors, or even by one of the administrative staff. But all the employees of the Women’s Medical Society knew. Everyone there acted as if it wasn’t murder at all. Most of these acts cannot be prosecuted, because Gosnell destroyed the files. Among the relatively few cases that could be specifically documented, one was Baby Boy A. His 17-year-old mother was almost 30 weeks pregnant – seven and a half months – when labor was induced. An employee estimated his birth weight as approaching six pounds. He was breathing and moving when Dr. Gosnell severed his spine and put the body in a plastic shoebox for disposal. The doctor joked that this baby was so big he could “walk me to the bus stop.” Another, Baby Boy B, whose body was found at the clinic frozen in a one-gallon spring-water bottle, was at least 28 weeks of gestational age when he was killed. Baby C was moving and breathing for 20 minutes before an assistant came in and cut the spinal cord, just the way she had seen Gosnell do it so many times. The news corporations have been burying this case because it’s politically dangerous, but Dr. Gosnell’s actions need to be known. If you can, make some noise about this. Tweet about it, send E-mails, post on Facebook, do whatever you can to get the word out on this case, so this can never happen again. Mass Murderer on Trial: If News Corporations Won’t Cover It Then I Will. Someone Has To. I wasn’t planning on posting about this. I had a much lighter and more innocent post planned. However, when I found out about this story, and the appalling lack of media attention it’s receiving, my priorities shifted. Dr. Kermit Gosnell was, until his arrest, the presiding doctor at the Women’s Medical Society clinic in west Philadelphia. He is currently on trial, along with his unlicensed medical assistants, on 7 counts of first degree murder, conspiracy to commit murder, infanticide, and numerous other charges. So far (though there is so hope that public outcry will start to change this) his story has gone mostly unreported by the news media. No doubt, because he was a doctor who performed abortions, some media purveyors are afraid of seeming “anti-choice” by reporting this man’s crimes. 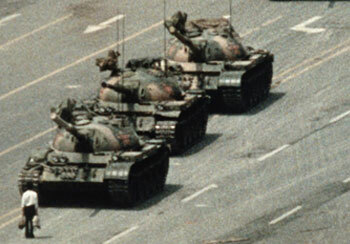 Whatever the reason for the media’s silence, this man’s deeds need to be heard. More importantly the world needs to know about the inexcusable negligence on the part of the Pennsylvania Department of Health, the Pennsylvania Department of State, and the National Abortion Federation, all of whom had evidence of Dr. Gosnell’s gross malpractice and yet did nothing to investigate further or shut him down. I’m not a reporter. But if the news media won’t tell the story than I will. Because I’m not a reporter, however, I won’t write a long article about it. Instead, over the next few days, I will quote the Overview of the Report of the Grand Jury that indicted Dr. Gosnell. It shows the horrors that went on with greater authority and ability than I can on my own. If you want to confirm these facts for yourself, or wish to read the rest of the report, you can find it here. That was the impressive-sounding name of the clinic operated in West Philadelphia, at 38th and Lancaster, by Kermit B. Gosnell, M.D. Gosnell seemed impressive as well. A child of the neighborhood, Gosnell spent almost four decades running this clinic, giving back – so it appeared – to the community in which he continued to live and work. But the truth was something very different, and evident to anyone who stepped inside. The clinic reeked of animal urine, courtesy of the cats that were allowed to roam (and defecate) freely. Furniture and blankets were stained with blood. Instruments were not properly sterilized. Disposable medical supplies were not disposed of; they were reused, over and over again. Medical equipment – such as the defibrillator, the EKG, the pulse oximeter, the blood pressure cuff – was generally broken; even when it worked, it wasn’t used. The emergency exit was padlocked shut. And scattered throughout, in cabinets, in the basement, in a freezer, in jars and bags and plastic jugs, were fetal remains. It was a baby charnel house. The people who ran this sham medical practice included no doctors other than Gosnell himself, and not even a single nurse. Two of his employees had been to medical school, but neither of them were licensed physicians. They just pretended to be. Everyone called them “Doctor,” even though they, and Gosnell, knew they weren’t. Among the rest of the staff, there was no one with any medical licensing or relevant certification at all. But that didn’t stop them from making diagnoses, performing procedures, administering drugs. Because the real business of the “Women’s Medical Society” was not health; it was profit. There were two primary parts to the operation. By day it was a prescription mill; by night an abortion mill. A constant stream of “patients” came through during business hours and, for the proper payment, left with scripts for Oxycontin and other controlled substances, for themselves and their friends. Gosnell didn’t see these “patients”; he didn’t even show up at the office during the day. He just left behind blank, pre-signed prescription pads, and had his unskilled, unauthorized workers take care of the rest. The fake prescriptions brought in hundreds of thousands of dollars a year. But this drug-selling operation is the subject of separate investigation by federal authorities. I will post the next section of the overview tomorrow, which goes into greater detail about how the clinic operated in plain sight. If you can’t wait until then, I highly recommend reading the full outline here. And if the words above stirred your sense of injustice, post this story everywhere you can. Facebook, Twitter, MySpace, personal blogs, wherever you can. Individuals like you and me have little to lose from a story being politically dangerous. If we don’t get the story out, who will?